Have you been envisioning your golf cart going with you to your favorite destination? Have you been searching for the perfect fifth wheel? 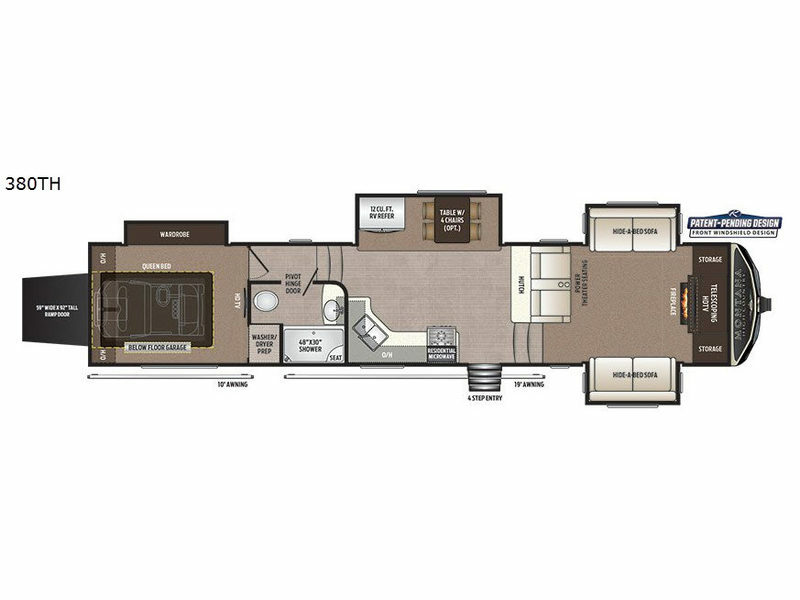 This Montana High Country toy hauler fifth wheel might just be the perfect answer! Model 380TH allows you to camp comfortably, and has space to take along your favorite ride on toy! Below the rear bedroom you will find a unique garage with a motion sensor LED light and a ramp door for easy loading and unloading. The front living area includes a telescoping HD LED TV above an electric fireplace with a remote, plenty of seating choices, and a front patent-pending windshield design providing amazing views. 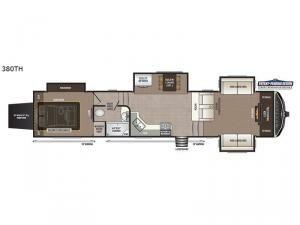 The cook will enjoy making meals in the kitchen which also includes a hutch and a 12 cu. ft. RV refrigerator. The bedroom features a shiplap design headboard, a 32" HD LED TV, and a large wardrobe. Choose this fun RV today!